Residential Development for sale in Sea Caves Residences - six individual detached villas. A unique development of just six individually designed detached villas set in a gorgeous and picturesque location. 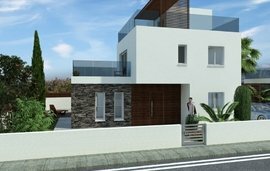 An exclusive selection of just six detached villas located in one of Pafos’ finest residential areas adjacent to the stunning Sea Caves and nearby Coral Bay. 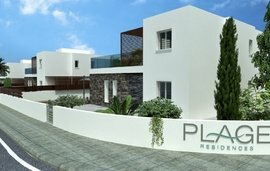 Inspired by Mediterranean and traditional Cypriot Architecture Sea Caves Residences comprises of individually designed three and four bedroom villas providing versatile living space, large balconies, shady pergolas, open terraces, gardens and private swimming pools. 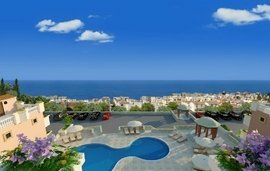 Located in an exclusive area Sea Caves Residences are a short distance from a wide selection of retail outlets, specialist fish taverns, cafes and coffee bars, yet offer a quiet and peaceful environment adjacent to the Akamas Peninsula; one of Cyprus’ best protected areas of outstanding natural beauty. The development also has incredible investment potential being located close to the future marina development.